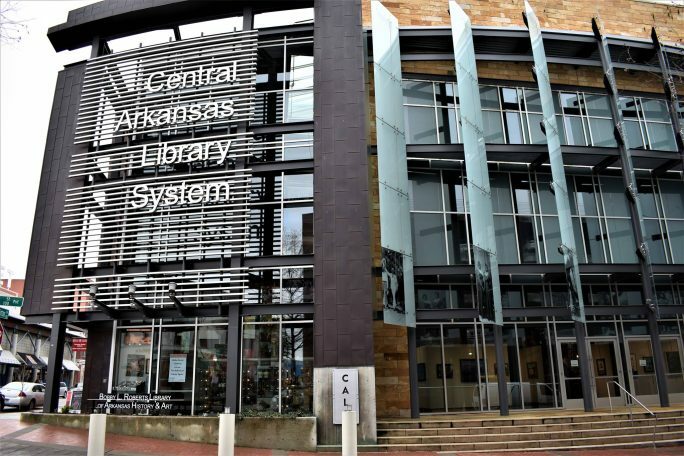 The Bobby L. Roberts Library of Arkansas History and Art combines the archival holdings of two institutions, UALR’s Center for Arkansas History and Culture and the Central Arkansas Library System’s Butler Center for Arkansas Studies, under one roof. To help make the researcher’s experience efficient and fulfilling, the two institutions have created a single research portal that provides all of the information you need to plan your visit to the archive, including the ability to submit questions and requests to the staff. Visit the portal at arstudies.com. The Research Room at Roberts Library is available Monday through Saturday, 9 a.m. to 6 p.m., and is located in the River Market District of downtown Little Rock. Researchers may use the main entrance at 401 President Clinton Ave. and proceed to the second-floor research area. Parking is generally available in the Main Library parking lot; bring your parking stub to the research desk for a 2-hour credit.